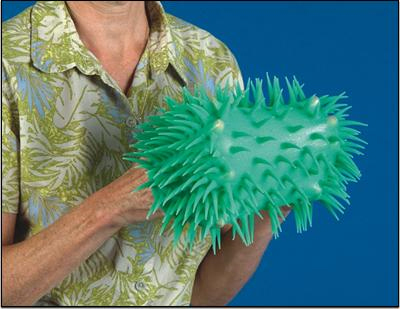 Stretchy ball turns inside out for an amazing visual and tactile sensation. The ball has a squishy texture that’s cool to the touch. 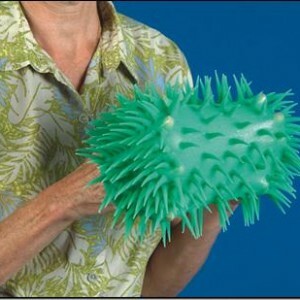 Ideal for hand exercises and much more engaging than regular squeeze balls. Easy to manipulate, even for small or arthritic hands. Colour may vary. Washable in warm soapy water (no chemicals).